In the middle of Prohibition what was a brewery to do to keep in operation? I would not have guessed making grape flavored gum but you gotta do what you gotta do! Just a note to stop by the Milwaukee County Historical Society to see their fantastic Brew City Mke exhibit. Going on now through April 30th. Fish Fries have seemingly been around forever. But when did they become a huge Milwaukee tradition? Where did they begin? The answer may surprise you. These and hundreds of similar signs in the windows of taverns, beer gardens and hotels throughout the city and suburbs tell the story of the popular hold the fish fry has taken on Milwaukee. On Friday nights thousands of people, young and old, go out to eat fish and drink beer, listen to music and song, and while away a few sociable hours. 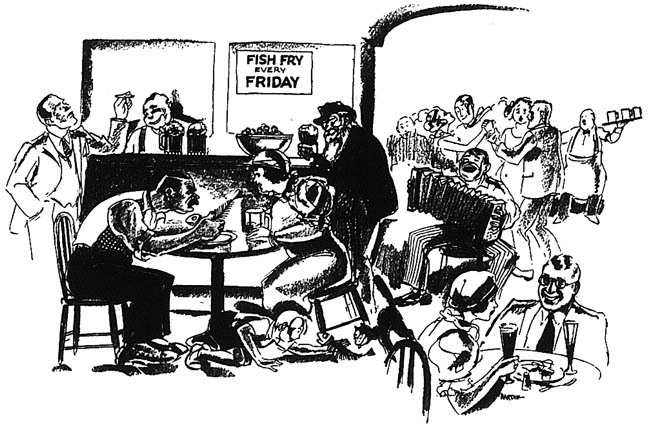 The fish fry is the city’s latest fad – a hobby that has developed into immense popularity since 3.2 beer became legal. Never has the town had such an appetite for fish. But the fish fry is also serving as a center around which some of the better drinking places are reviving the spirit of sociality which in beer days was known as “gemuetlichkeit.” The fish fry is becoming a sort of family affair, a weekly event which father and mother and even the youngsters are attending. Sister brings her boyfriend and brother his best girl. It is an inexpensive past time. A dollar goes a long way. Who started the fish fry craze in Milwaukee? None other than the cunning operators of the “speakeasies.” According to the manager of a downtown hotel, it was one of the best-known speakeasy owners who stumbled on the idea. To offset his outrageous prices for drinks, he served free fish. It promoted good feeling and struck a popular chord with the night rounders. His competitors copied the idea and long before beer came back the fish fry was a popular institution here. When beer returned and taverns were opened in such numbers that few owners could make money, the costly free lunches of other days were replaced by a weekly fish fry. 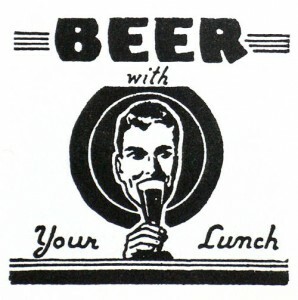 The beer drinkers fell for the idea, and today a thousand or more taverns are serving fish lunches, but most of them only on Friday nights. The free Fish Fry is a simple affair. A piece of boned perch or a boned pike, with a slice or two of rye bread is served. A good customer will probably buy several beers before he finishes his fish. Some of the taverns and beer gardens that cater to family trade fell into the fish fry stunt and ask their customers to bring their families on Friday nights. Now many of these places every Friday night serve almost as many women as men. Fish dealers say that some of the taverns have become their best customers. buying from 5 to 50 pounds for Friday night’s lunches. Not all the fish fry lunches are free, however. Some of the places of the beer garden type, serve more elaborate fish lunches, furnish music and entertainers and do everything they can to promote that old spirit of “gemuetlichkeit.” A charge of 10 cents for a fish plate lunch is made. It consists of fried boned perch or boned pike, rye bread and butter, cole slaw or potato chips, and a pickle. To give these fish parties every Tuesday and Friday nights is a more democratic air, at one of the beer gardens near the City Hall, the linen tablecloths are removed and the lunches and beer served on the beer table tops. An orchestra plays beer music, mostly old and popular pieces that bring back memories of the nineties and the early part of the century. German favorites are not overlooked. As the evening progresses and the crowds get into the right mood, out steps a young woman, making her way among the diners while a large chart of verses is hung on the wall. She is going to sing “Schnitzelbank.” The young woman knows her stuff and in a few minutes everybody is singing with her. Not all fish fry parties are public affairs. Not long ago at a resort north of the city a large private fish fry was held that was attended by 80 invited guests. The lunch started with a spiced herring and a carefully prepared sauce. Then came fried boned fish and potato chips, coleslaw, radishes, pickles and onions, and lots of rye bread and butter. The beer steins were kept filled. An orchestra played and following dinner the chairs and tables were removed and the rest of the evening spent in dancing. Fish Fry parties are becoming popular at many Milwaukee homes. Just now, Milwaukee is decidedly fish minded. Fish prices just now are high, far higher in proportion than meat. Boned perch, mostly from Lake Erie and Green Bay, is selling at 27 and 28 cents a pound. Undressed perch is about 18 cents a pound. Boned pike is worth 32 cents a pound, while the price for undressed pike is about 20 cents a pound. Trout also are high and so are whitefish. The former sells for about 25 to 30 cents a pound. Whitefish costs more. The city’s fishing fleet consists of about a dozen fishing tugs, but some of them have been laid off for the summer because the catch has been small. “It costs about $60 to 65 dollars a day to operate a fishing tug,” said a south side fisherman. “Last year perch were quite plentiful, but this year they are so scarce that we are hardly catching any at all. Sometimes a boat brings in less than a hundred pounds of fish for the entire day’s work. Trout are just as hard to catch. The day when we caught whitefish near Milwaukee is gone. Fishermen say that many people spoil good fish because they do not fry it correctly. Fish should be carefully dressed and scaled, say these experts, then be dipped in beaten egg and rolled in corn meal, or cracker or bread crumbs. A kettle of hot, deep fat or oil should be ready and the fish submerged in the fat immediately after the crumbs have been applied. The crumbs should not be allowed to get soggy before the fish is dropped in the hot oil or fat. Fried in deep fat the cooking will be uniform all over the fish and a fine crisp, brown fish is assured. Fried in a pan with but a little lard or not enough to submerge the fish results in uneven cooking. Milwaukee years ago was noted for its fish dinners. At that time the resort at Whitefish Bay was known throughout the country for its whitefish meals. On Jones Island “Gov.” Kanski and later another well-known islander, named Plambeck prepared delicious fish dinners. They also had crab lunches. But Jones Island is no longer what it used to be. This photo was taken at the convention of the American Bottlers of Carbonated Beverages (non-alcoholic of course!) in November of 1930 at the Auditorium. 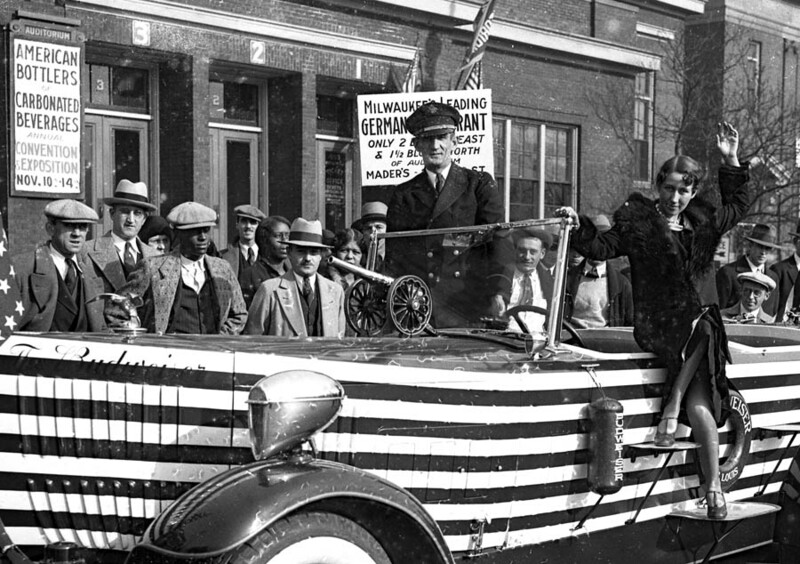 The Budweiser car/boat drew an admiring crowd on its tour through the United States. This was at the height of Prohibition so notice the grim attitudes of everyone in the scene! On this day back in 1926, Prohibition was in in full swing. People who wanted their favorite beverage had to find some place to slake their thirst. Luckily Milwaukee had plenty of illegal underground bars that catered to their needs. Karl Raatzch, who founded the Milwaukee restaurant which still bears his name, ran an underground beer hall just south of Steinmeyer’s store on the corner of 3rd and Highland. Karl A. Raatzsch, proprieter of a bar at 310 Third St., which was known to thousands of Milwaukeeans before prohibition and has retained its fame since, was arrested late Friday following a raid on the place by federal prohibition agents. In view of the fact that no fear was entertained that he would not appear when wanted, Harry L. Kellogg, United States commissioner, allowed him his liberty without bail. 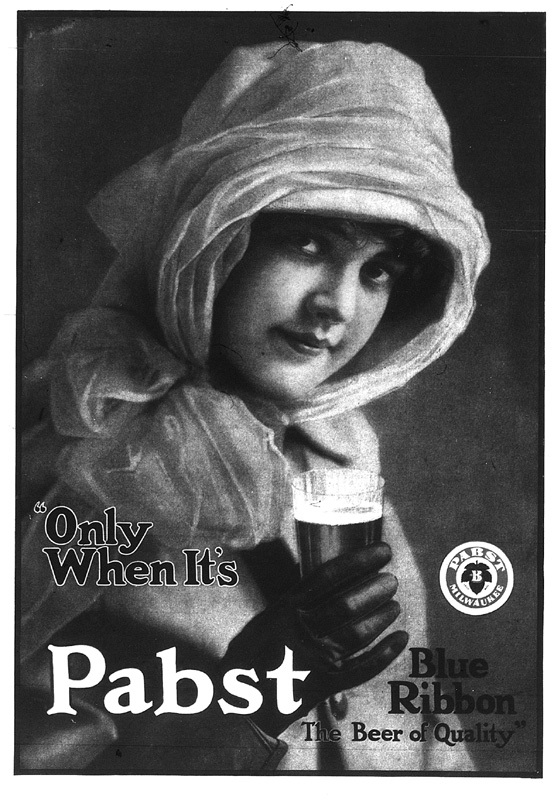 Before prohibition the place was known as “the wein stube” because it was one of the few saloons in Milwaukee that catered to wine drinkers, and it was probably the only one that catered to wine drinkers who could afford only the inexpensive wines. A huge glass of wine was sold for a nickel, and it was a common saying that the cheapest way to be relieved temporarily of worry and care was to go to the wein stube and drink a glass or two of wine. 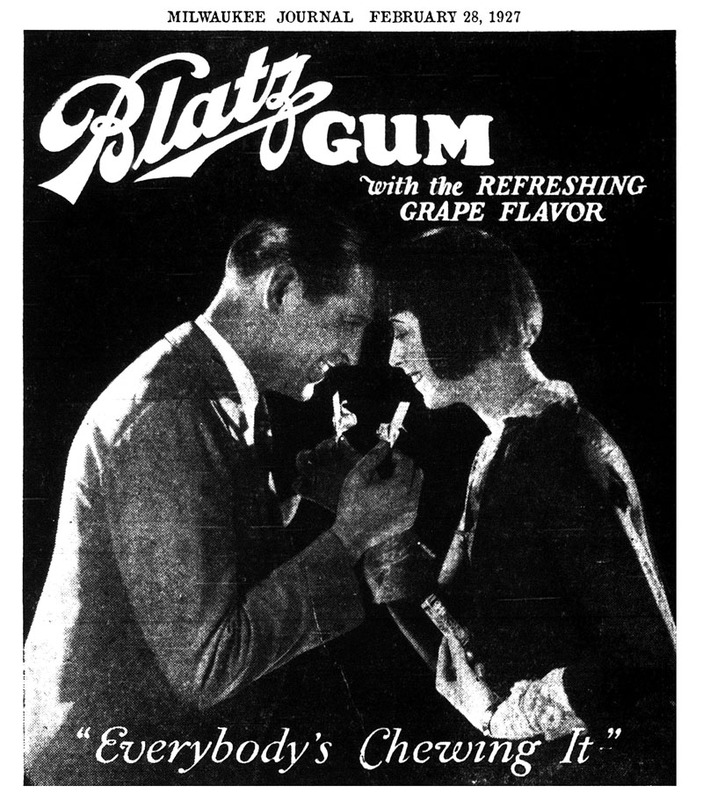 The place dropped into obscurity in the early days of prohibition, but its fame began to revive when Raatzsch took hold of it a few years ago. It has come to be one of the most widely known places in the city, and it reputation rested solely on its meals and its beer. 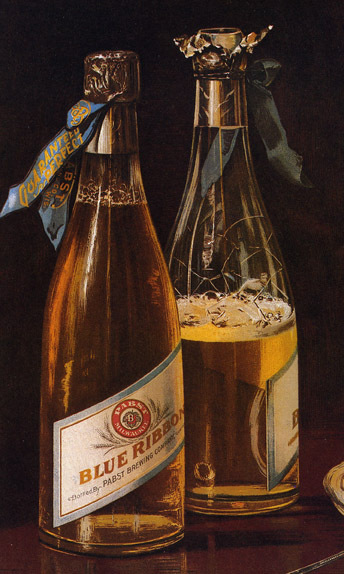 Beer was the only alcoholic beverage that the prohibition agents found. Agents had made purchases of beer in the place previously, and late Friday another purchase was made. The raid followed. 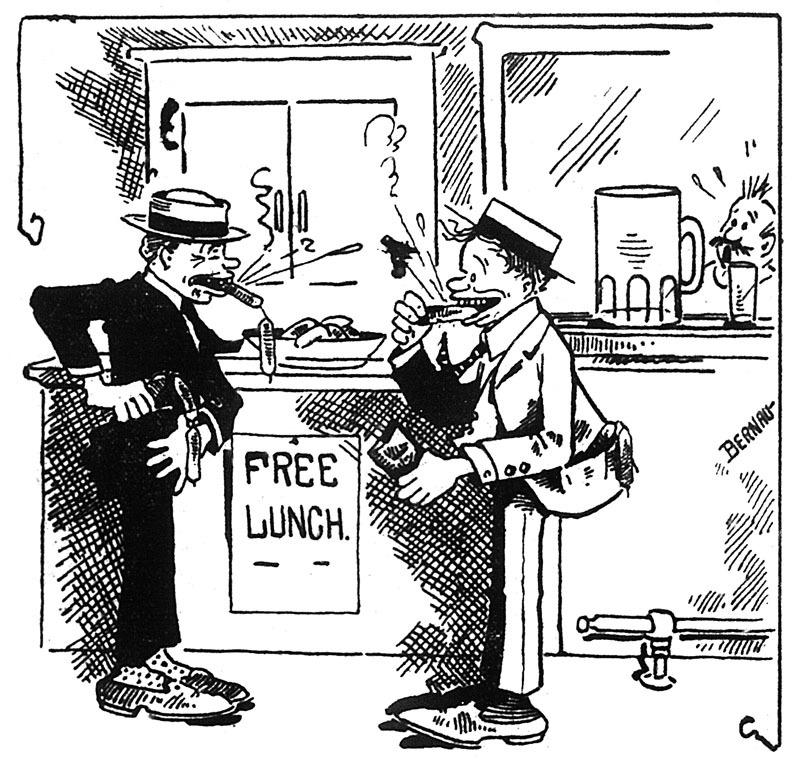 Two half-barrels of beer were on tap, the beer flowing through the spigots as before prohibition. The tapped barrels were in the cellar, as was the rest of the contraband seized. There were 14 other half-barrels all ready for tapping. Each held 15 1/2 gallons. Twenty 15-gallon crocks and two 25-gallon ones held beer in the process of fermentation. Two 15-gallon copper wash boilers stood on two gas plates, with beer “cooking” in them. There were also two 50-gallon barrels of malt syrup, six barrels of near-beer and eight gallons of brewers’ yeast. this is the first time that brewers’ yeast, which makes much better beer than ordinary yeast has been found in a raid in Milwaukee.